A percentage is a fraction with a denominator of 100. 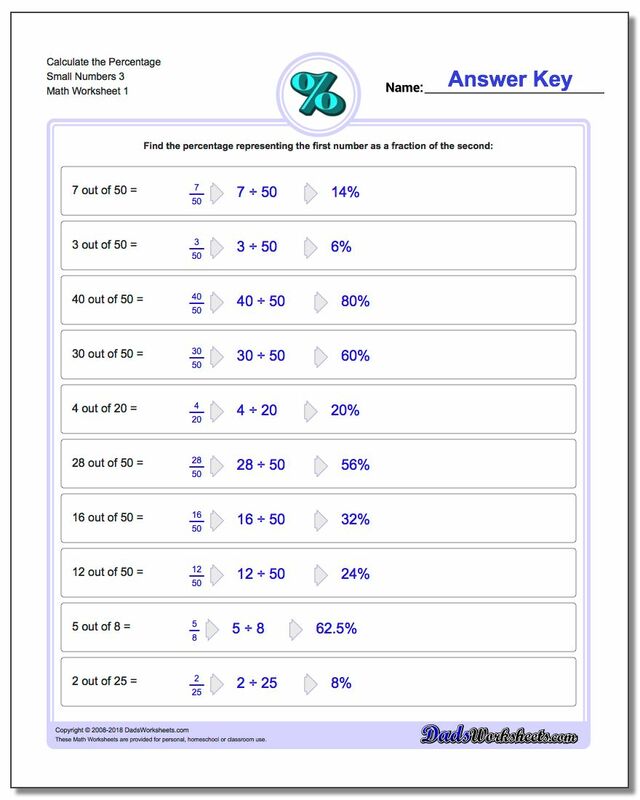 Given two numbers, a percentage can be found by either by performing decimal division or by converting the two numbers into an equivalent fraction with 100 as the denominator. 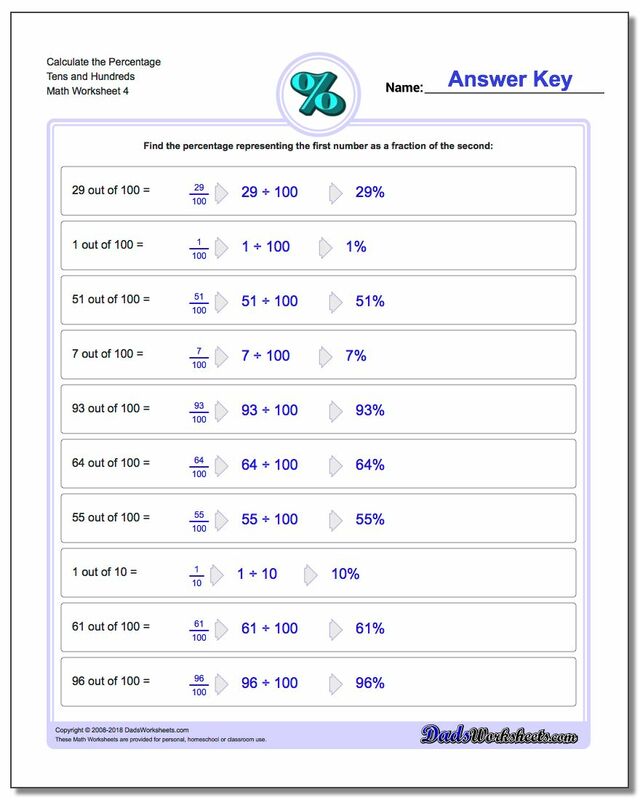 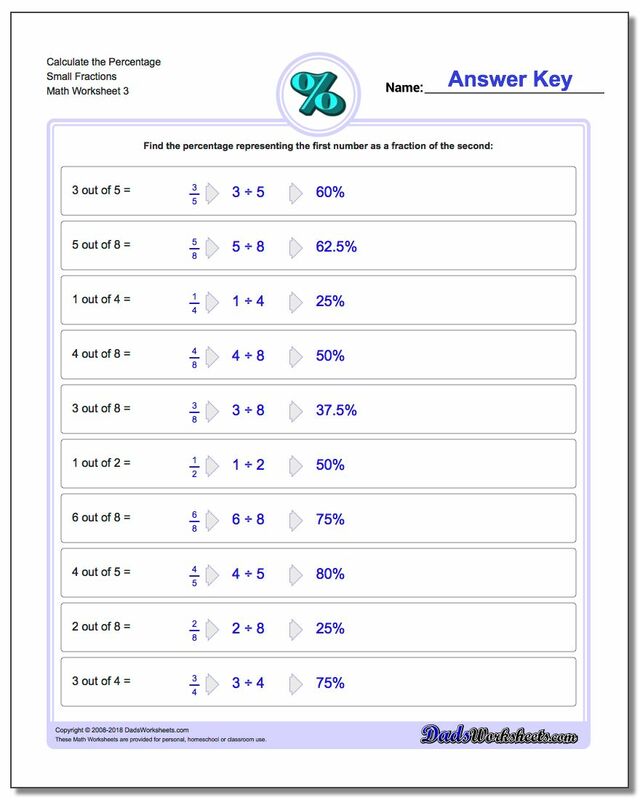 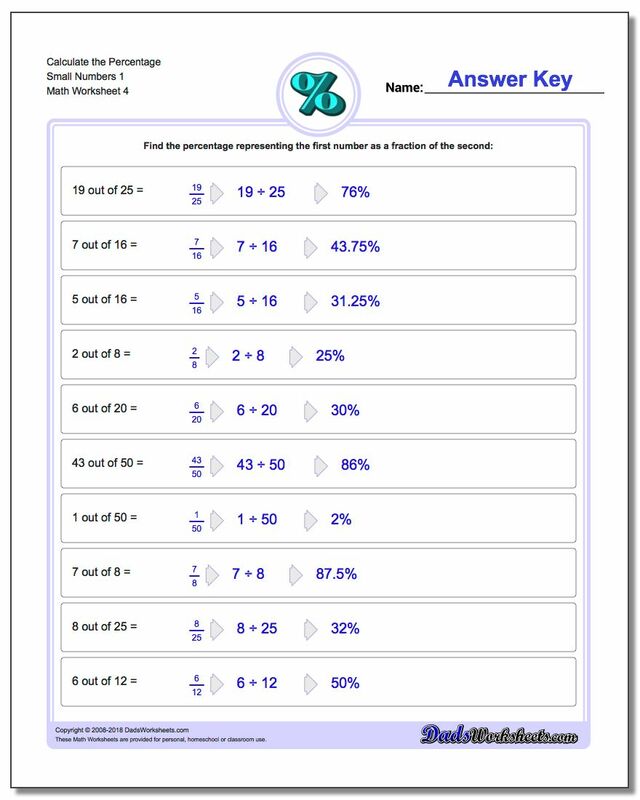 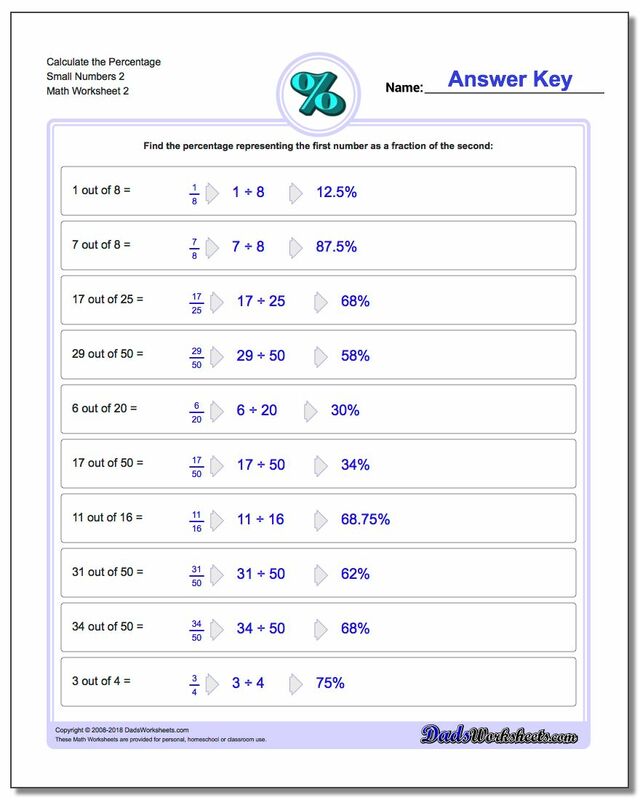 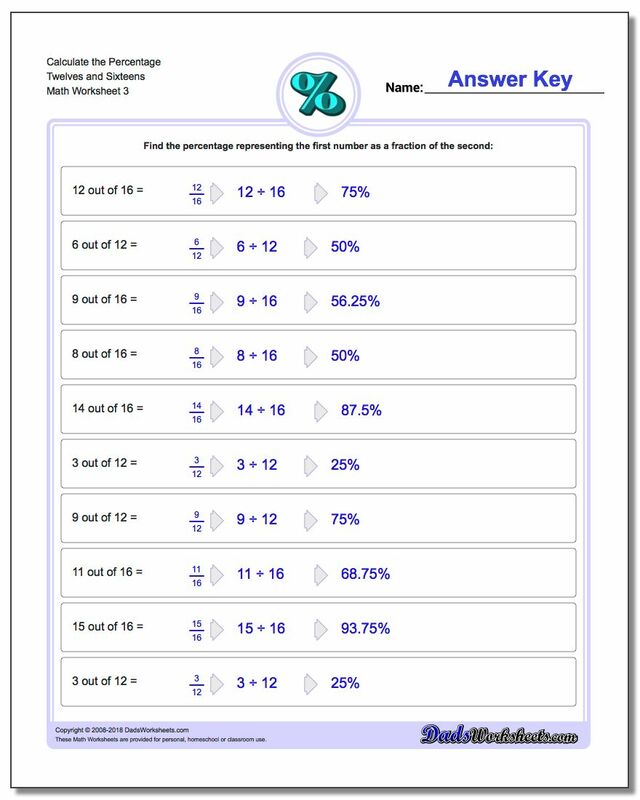 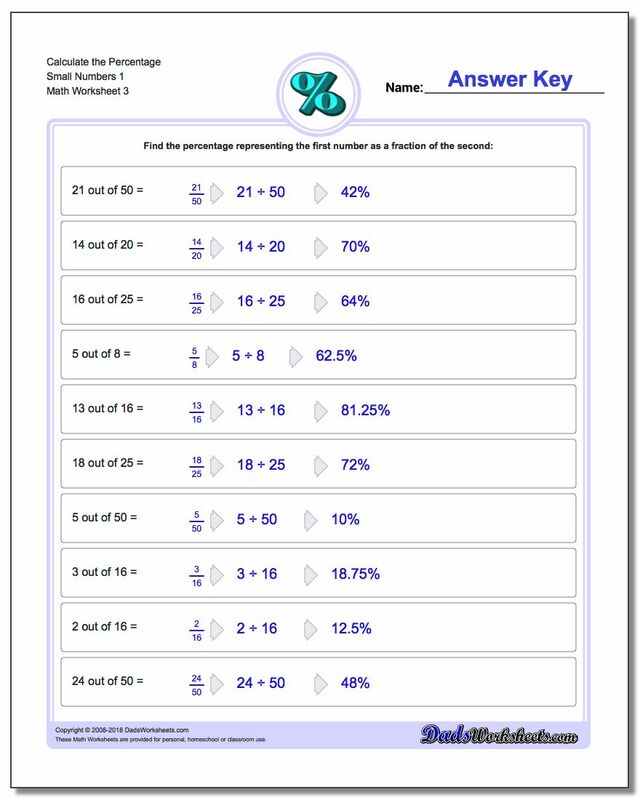 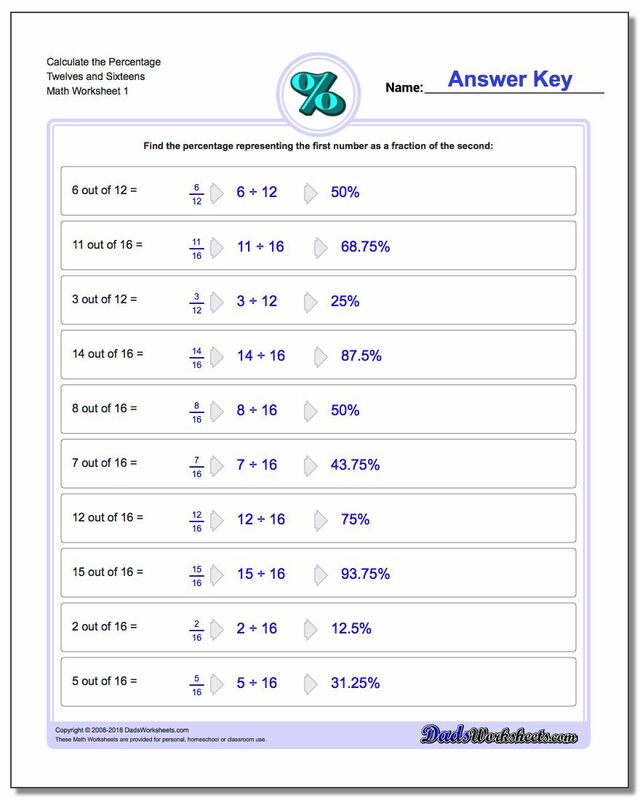 These worksheets begin with simple examples of fractions with power of ten denominators that can be easily changed to percentages, and gradually progress through other denominators to exercise a student's percentage changing skills. 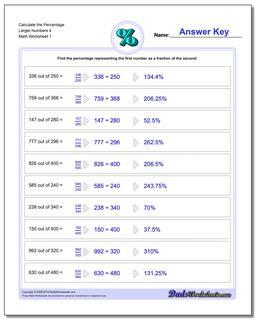 Both the equivalent fraction form of the percent as well as the basic division problem is shown to reinforce both conceptually conversions to the percentage answers.